Storbie is the online shop and marketplace builder that enables shops to cluster together under a common cause, category or geographic brand to maximise their discovery, customer loyalty and business growth. With Storbie you can be different together. Interested to create a marketplace or finding out more? People are searching for business information online and on mobile. Make sure your website gives them all the information they need. Contemporary, user-friendly website with categorised and searchable business directory. Fully responsive website, all content is automatically optimised for any device. Businesses can log in and edit their own business directory listing page. Add media-rich content such as video and Google Maps, along with graphics, text and more. Easily edit your website yourself. The Storbie platform is constantly evolving with new features, ensuring your website stays up to date, without costly bespoke upgrades. Our friendly and knowledgeable Support team are on hand to help, at no extra cost. A directory site can easily be upgraded to an ecommerce-capable marketplace that displays searchable products from all businesses connected in to the marketplace. Interested in creating a business directory website? People are searching for product information online to inform their in-store shopping. A marketplace website has all the powerful features of a business directory website, plus product content. Businesses can add up to 3 products or services to their businesses directory page for free, or upload their full product catalogue for a fee. Display searchable and purchasable products from the businesses connected in to the marketplace. Drive enquiries and sales to those businesses. Run promotions and campaigns to further increase enquiries and sales for members. Support their efforts with a powerful collective online presence. Interested in creating a marketplace website? Why should businesses have product content online? It's not just about online sales - the Internet has a huge influence on how we shop in store. Consumers are doing research online - they're searching for product availability, pricing, and promotions to inform their in store shopping. It's called 'purposeful shopping'. If a business has product or service information online, they can engage with the purposeful shopper and attract them in to their store, build loyalty and grow their business. What are the benefits of having this content on your marketplace website? Google will recognise your site as the go-to source of information for your cause, product category, location or purpose. As you and your members add more content, your site quality and ranking continues to improves. Your site will appear more prominently in more search results, and enquiries, sales and in-store visits will flow on to your members. How does Storbie ensure the success of your website and digital strategy? Who has Storbie already worked with? New Zealand's first 'online CBD', the Hamilton Central marketplace website is an information hub for the Hamilton CBD and a growing guide to unique and local shopping in Hamilton. 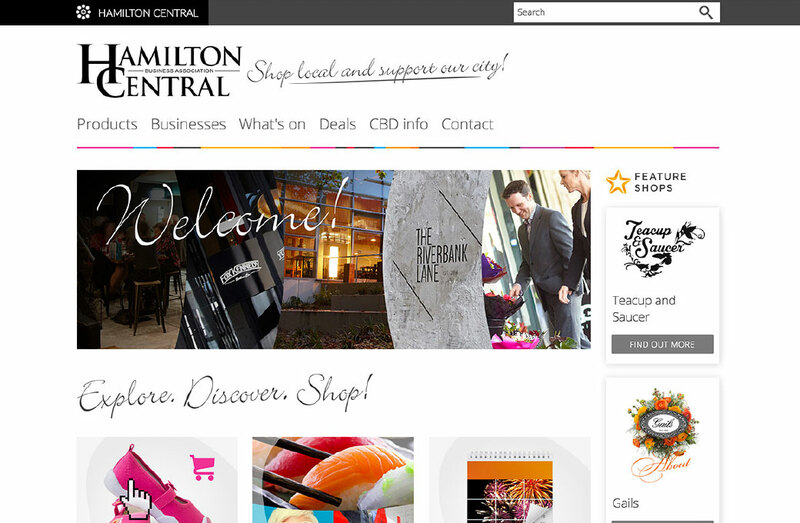 "We want to encourage members to not only have a brochure website, but also an online store with their product catalogue that links in to the Hamilton Central marketplace. That way, consumers can research and browse online, anywhere and at any time, and then head in to the CBD to purchase." 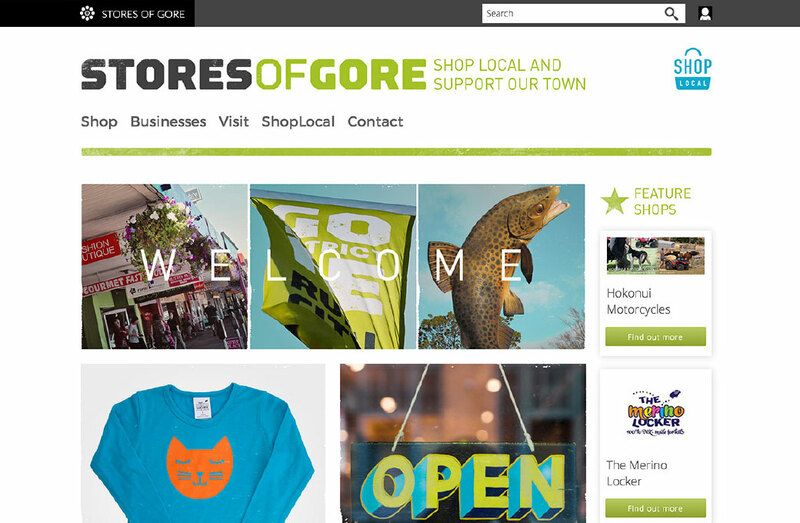 The Stores of Gore marketplace website runs on the shoplocal.nz domain. It is part of the GoRetail initiative to help Gore become the most commercially resilient town in New Zealand. "We're serious about business success in Gore. A 'shop local' digital strategy and community ecommerce platform is crucial to help Gore businesses reach beyond traditional boundaries." The Pharmacy Place directory and marketplace is a searchable directory of Pharmacy Guild pharmacies and their products. It is a hub of information for consumers – containing useful New Zealand consumer health information, pharmacy business information and the products that pharmacies stock. 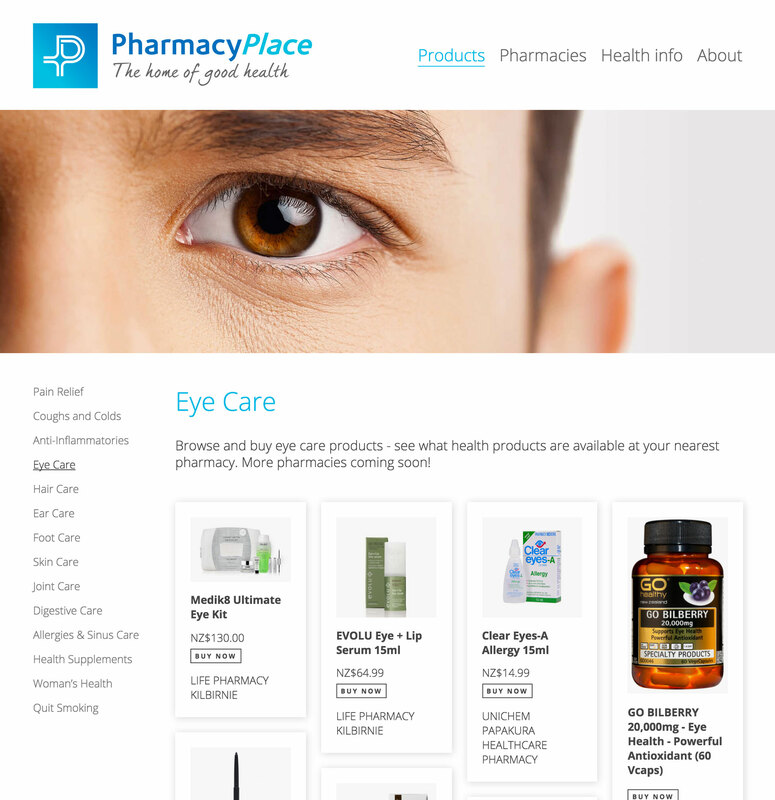 "The Pharmacy Place website helps New Zealand pharmacies be more visible online and is an online tool to collectively promote Pharmacy Guild pharmacies and help them attract new customers." 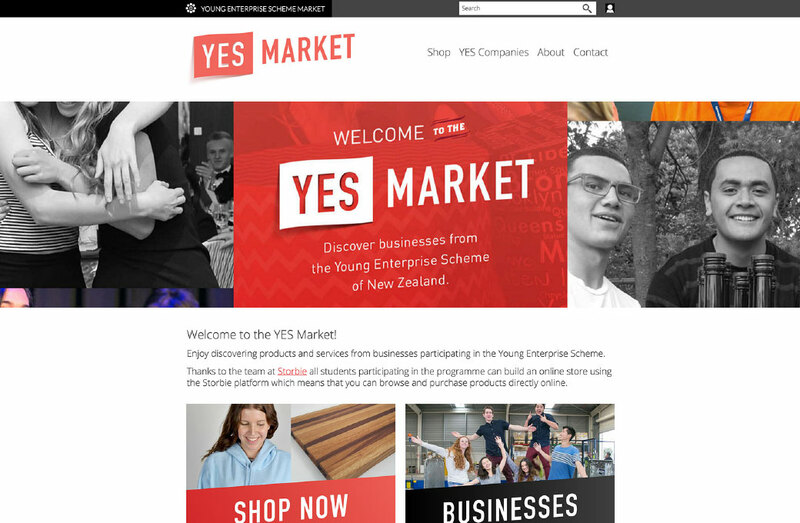 The YES Market brings together all the websites created by YES students. It's a one stop shop to search for and purchase all available products and services on offer. Thanks to the team at Storbie, all students participating in the Young Enterprise Scheme can build an online store using the Storbie platform. Once created, the website can be included in the YES Market as well as any other relevant marketplaces. "Ruff Tucker was really excited to see that we were winners of the Young Enterprise & Storbie website competition. We wanted to say thank you very much for your support of the website. It has helped our business be offered to a much wider community. Thanks again!" Storbie is the online shop and marketplace builder that doesn’t leave retailers standing alone. It is an ever expanding ecommerce network that enables shops to cluster together under a common cause, category or geographic brand to maximise their discovery, customer loyalty and business growth. 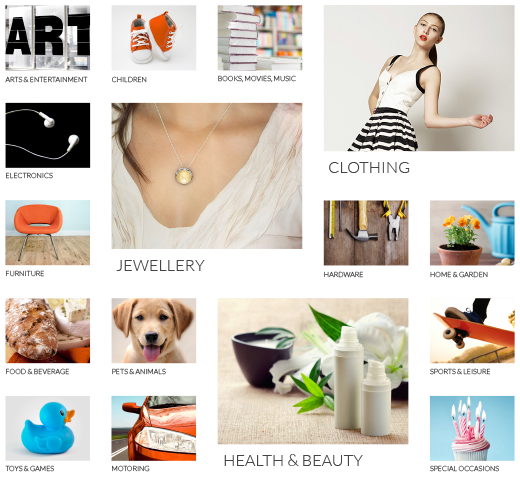 Storbie shops can feature in the Storbie Market, offering another great way to be found online. If shoppers like a product they are then redirected to the individual shop and checkout to make a purchase. Over 100,000 products currently listed. No listing fees. No success fees.